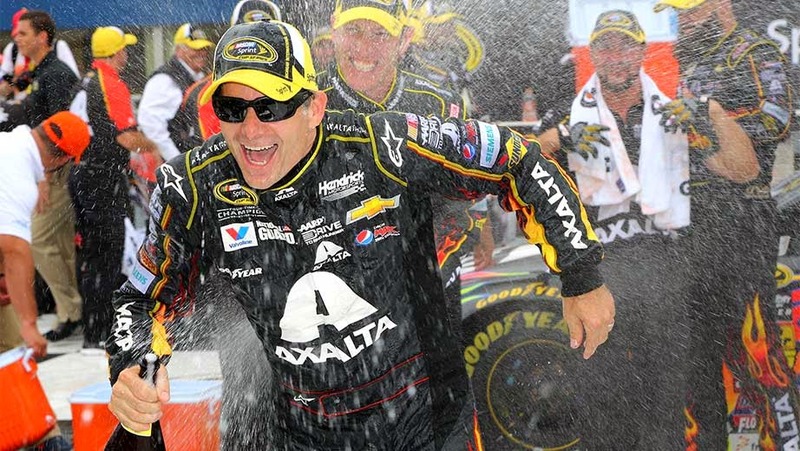 BROOKLYN, MICHIGAN – It has been a few years since Jeff Gordon has seen a SPRINT Car championship, but if he can keep the wins coming, 2014 may just be the year that the 43-year old reclaims the coveted award. With Sunday’s win at Michigan International Speedway, Gordon moves up to the top spot in The Chase, and is one of four drivers with three wins this season and his 91st career win. 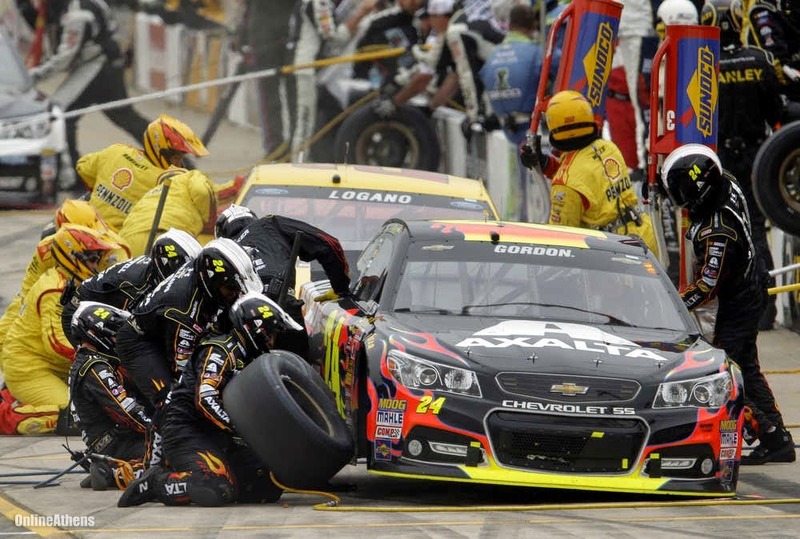 The Michigan race turned out to be a rather chaotic race with a series or restarts. The fact that Gordon did well was rather surprising as restarts appeared to be his Achilles heel this season. The crucial restart came on lap 183 following Kurt Busch hitting the Turn 2 wall shortly after another restart on lap 178. 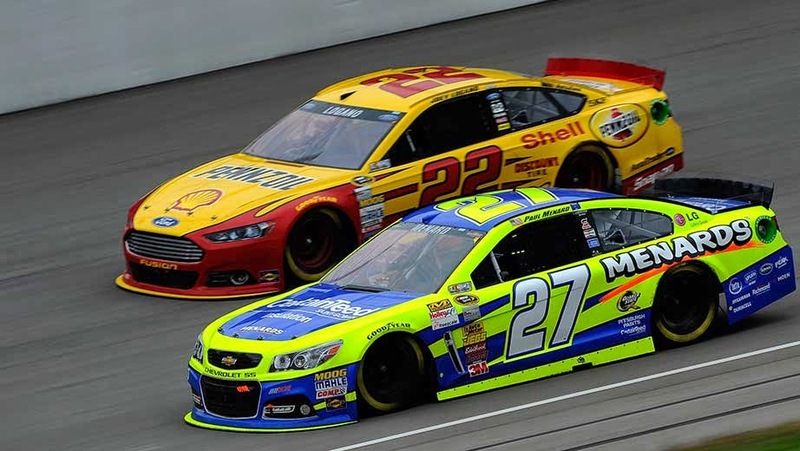 Starting behind Joey Logano on the final restart, Gordon passed him on lap 183 and was able to keep Logano at bay accelerating away until he was out of the draft. Gordon had the power and handling he needed to keep the lead from that point on. "I thought he had a good start, but I had one, too," Gordon said. "It's pretty nice to have the last two wins come down to restarts. "Those restarts are so crucial but also intense because of the speed we're carrying here." After the race Logano commented, "I won every single restart I was on the front row except the last one." But we all know that only one restart is important to win – that is the last one Joey! Kevin Harvick placed 2nd, his fourth straight at Michigan. Paul Menard made a fine showing with a 3rd place podium finish. Joey Logan only managed a fourth place finish after his drag race with Gordon and Dale Jr. rounded off the top five and dropped to second place in The Chase. 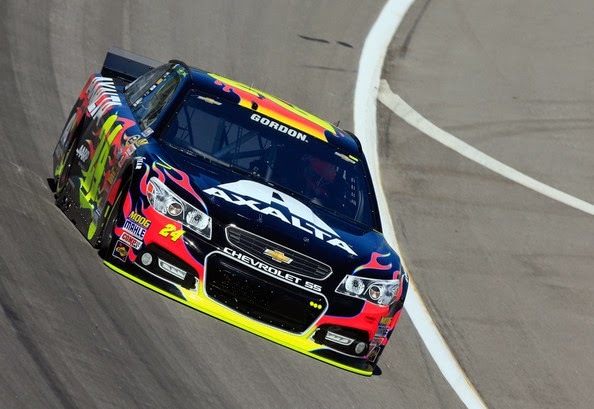 Gordon definitely had the speed this weekend, setting the new track record of 206.558 mph during qualifying. He also had the only 200+ mph car during the final practice session and led 68 laps. 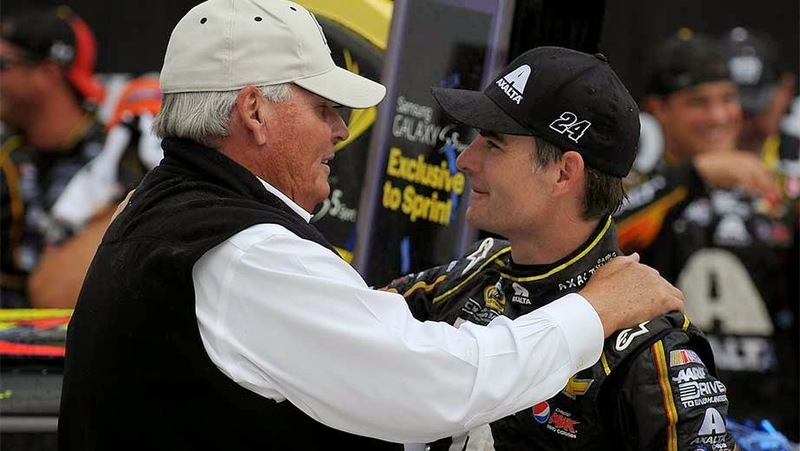 Rick Hendrick commented on Jeff’s performance “There's got to be some advantages to being 43 out there," said Gordon, who is seeking his first series title since 2001. "I'd like to think patience and using your head is one of them." 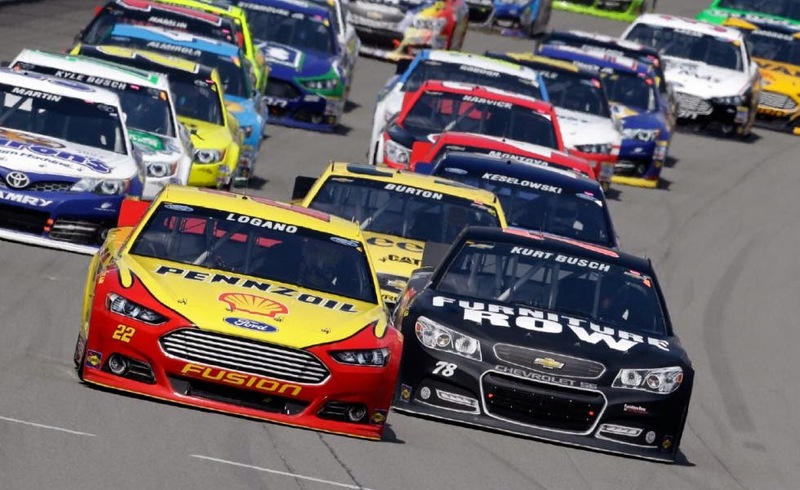 In other news at Michigan, as a select group of teams tested some potential options for the 2015 NASCAR SPRINT Car rules package including ear differential gear changes, aerodynamic enhancements, horsepower optimization and a driver-adjustable track bar. The teams were also scheduled to make runs in a low-downforce package with Goodyear tires featuring a compound with more grip. "We're testing quite a wide gamut here," Gene Stefanyshyn, NASCAR Vice President of Innovation and Racing Development, said. "We're looking for basically a fan-centric type of direction. Fans have said they like a lot of passing, they like a lot of side-by-side, they like a lot of lead changes, and so that's what we're endeavoring to do." Among the early changes that would be most noticeable to fans were the use of dive planes, fin-like blades in front of the cars' front fenders. The aerodynamic device is often seen in other forms of motor sports -- such as touring cars and sports cars, including in IMSA's TUDOR United SportsCar Championship -- and could potentially help trailing cars in disturbed (or "dirty") air remain more competitive.